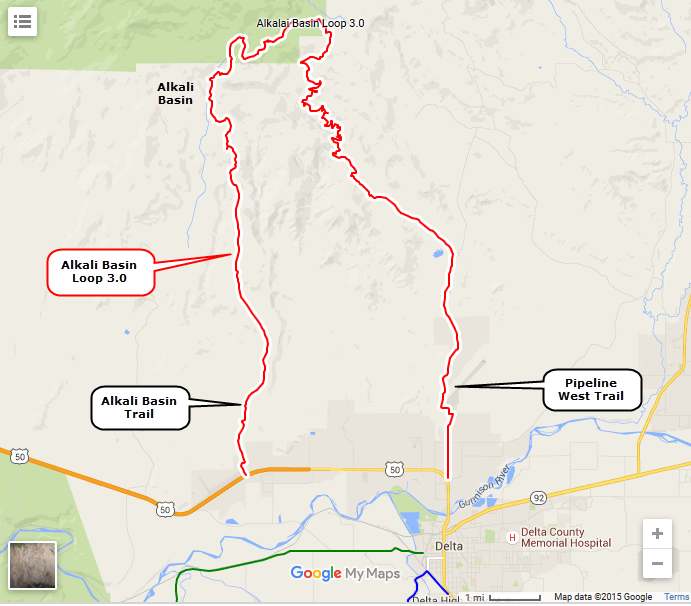 Alkali Basin Loop is a combination of the Alkali Basin Trail on the west and the Pipeline West Trail on the east. 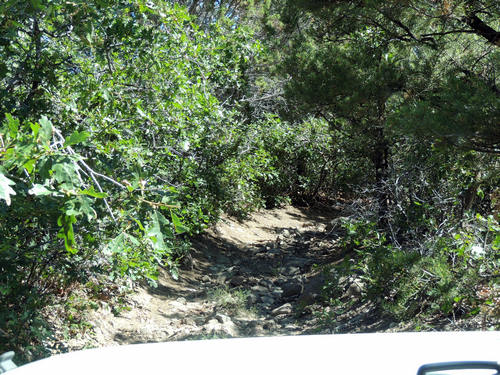 This allows for a through Jeep trail rather than an in-and-out. 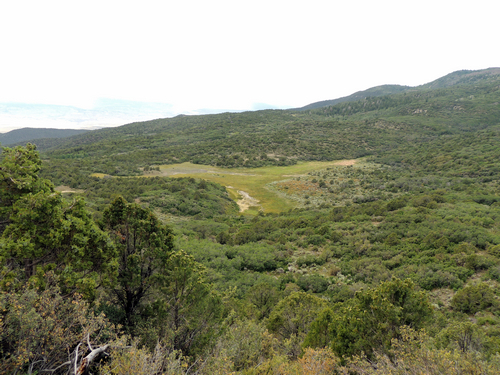 The namesake Alkali Basin is a nondescript basin shown in the photo. This trail crosses the opening, which probably is wet at certain times. We visited in August and all was well. 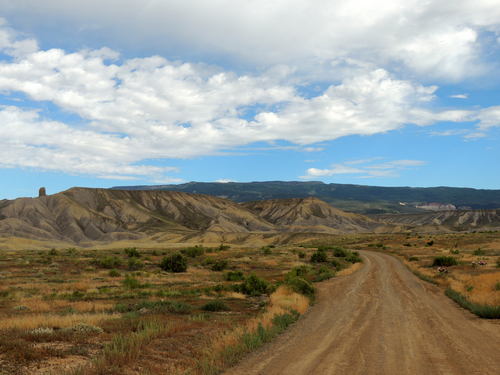 This Alkali Basin side of this loop is rated 3.0 for difficulty. We do not rate for scratchiness, but if we did it would be a 5.0. VERY, VERY scratchy on the Alkali Basin side. Do not take this trail if that bothers you. The Pipeline side is a weak 2.5 for difficulty and is not scratchy. The upper few miles are quite rocky and bumpy. 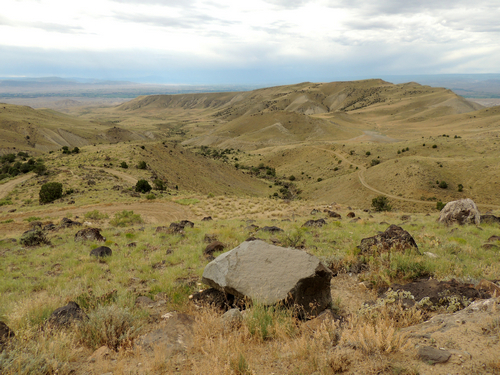 Alkali Basin side starts in open desert with expansive views back across the valley. The upper part is narrow and brushy. 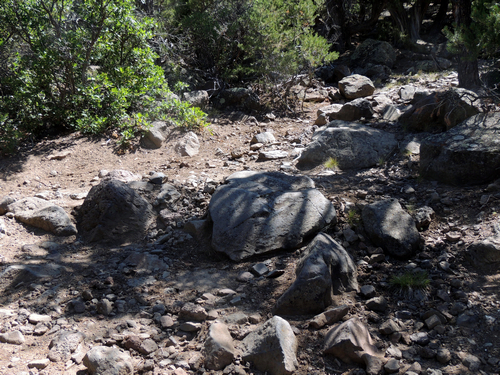 There are a few small boulder areas that give the trail its 3.0 rating. 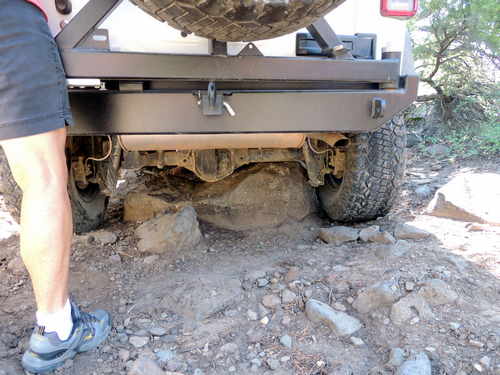 Make sure you put your tire on the rocks, not your differential. The Pipeline side also has views on the way down. 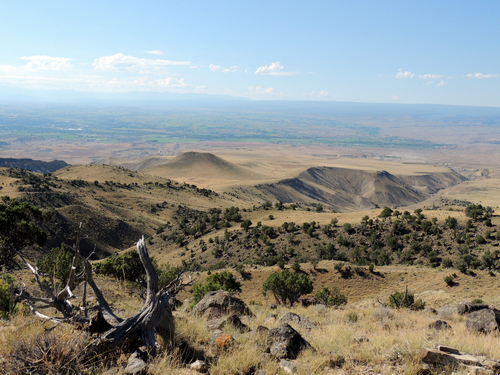 Devil's Thumb formation is shown on the left side of this photo.